Wednesday 20th March 1918: A discharged soldier has appeared at the Leighton Buzzard Petty Sessions Court accused of bigamy. Charles Frederick Smith, aged 27, was charged with marrying Theodora Pratt at Leighton Buzzard in September 1918 when his former wife Florence Smith was alive and living in South Africa. A Quartermaster-Sergeant of the South African Expeditionary Force Pay Office stated that Smith had joined the colours on 11th August 1915 as a married man, giving his wife’s name and an address in Port Elizabeth, Cape Province. She had been paid a separation allowance since that time. Smith applied for discharge on the grounds of medical unfitness and left for South Africa on 9th October 1917; he had since returned to Britain. Police Inspector Thomas Vincent told the Court that on 8th March he went to London by the same train as Miss Theodora Pratt, and at Euston Station he saw her with her mother and Smith. He identified himself to Smith and cautioned him. When questioned Smith admitted marrying Theodora in September, while he had a wife living at Port Elizabeth. Smith said “I expected this, as I knew inquiries had been made about me. I only arrived in England from South Africa last Tuesday (March 5th), and I wish the boat had been torpedoed before I landed here”. He later said he had arrived back in South Africa in early November and had stayed with his wife for about a fortnight, before leaving her and staying at a hotel. He had seen her at various times before left South Africa on 29th January. They had married in February 1913, and he had left her because of her misbehaviour with another man. Miss Winifred Blackhaller, a dressmaker from Shepherd’s Bush said she had known Smith for about two years. He had returned wounded from France last summer, and in September he showed her a photograph of a young lady named Dora Pratt. She asked if Dora knew Smith was married and he said she did. Miss Blackhaller next saw Smith after he returned from South Africa, and he told her he had come back because of his wife “carrying on”. She said her mother had received a letter from Miss Pratt asking if she knew that Smith already had a wife in South Africa. He told her he might be arrested for bigamy. Theodora Pratt, of Plantation Road, Leighton Buzzard, said that when she first knew Smith he was a sapper in the South African Signalling Company stationed at Fenny Stratford. She kept company with him and they became engaged in February 1917. In August he had a week’s leave and came to lodge at Leighton Buzzard. He then went to Yorkshire, but visited her a fortnight later when she told him certain things and he proposed they should get married. 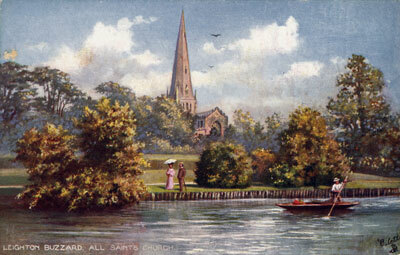 On September 7th she sent a letter to Smith’s commanding officer, as a result of which Smith came to her and they were married at Leighton Buzzard Parish Church on 13th September. Smith described himself on the marriage certificate as a bachelor. He left for camp on the following Tuesday, but they met again before he left for South Africa and arranged he would return and take her out to South Africa before Christmas. She applied for a separation allowance, but was told that Smith already had a wife and child living in South Africa. She then went to the police. Smith was remanded to the next Assizes and was granted bail. Note: Charles Smith was found guilty of bigamy at the July 1918 Assizes and was sentenced to 8 months imprisonment with hard labour.